LONDON SNAPSHOT. THE HUMMINGBIRD BAKERY. | Life Looks Perfect. LONDON SNAPSHOT. 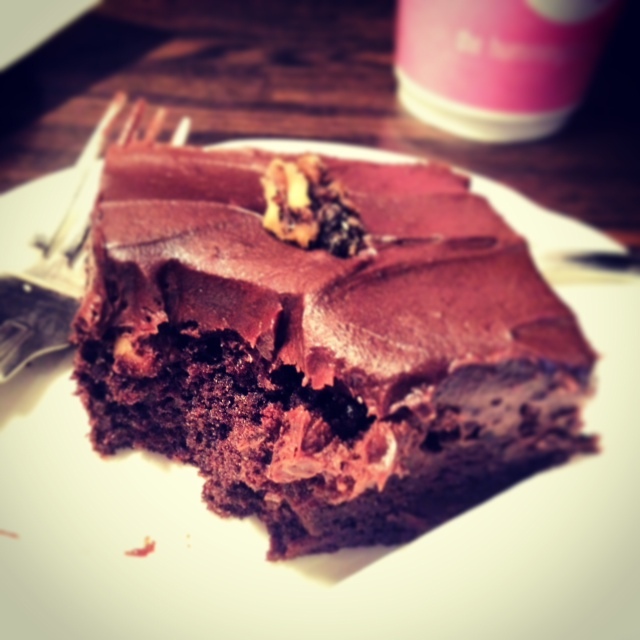 THE HUMMINGBIRD BAKERY. After an intense interview on Wednesday I was definitely in need of cake comfort! 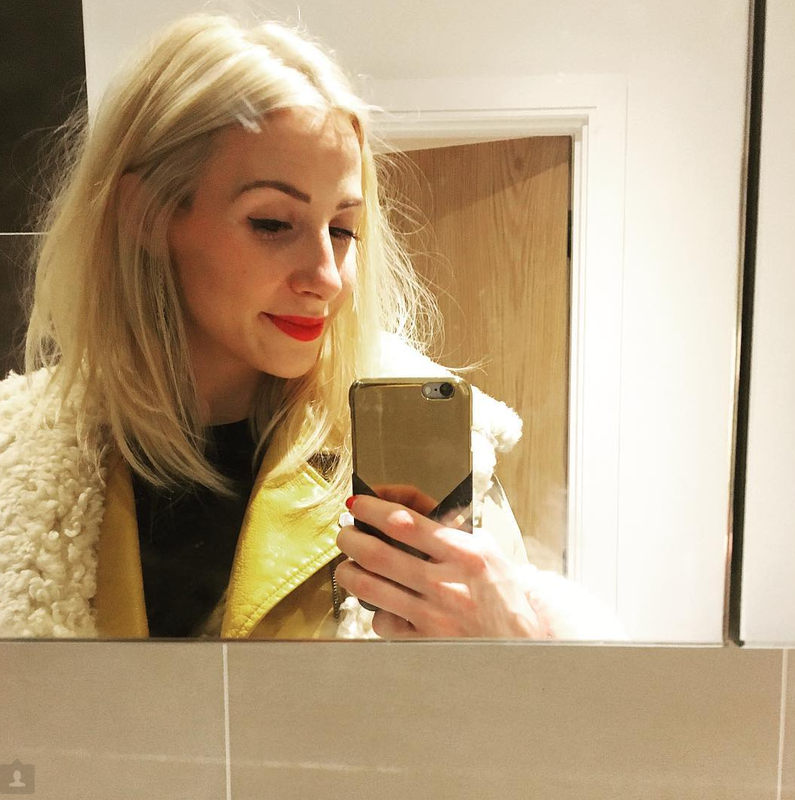 I'm training really hard at the moment working towards a half marathon which is in the middle of March but sod it - the interview was so hard I definitely needed a pick me up! The naughtiest bit was Becki and I had planned our trip to our favourite Bakery the week before without the interview in the diary - but it worked out to be perfect timing. 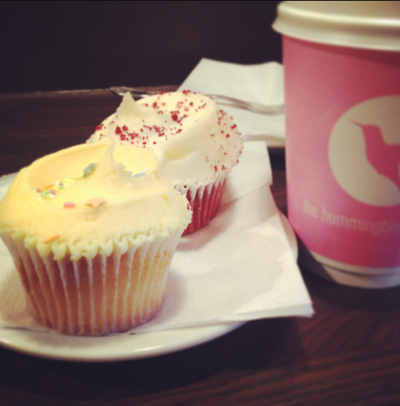 The Hummingbird Bakery is down the road from South Kensington tube station only 25-30 minutes from where we live. It is more for takeaways than eating in but during most afternoons you can pitch up, grab a stool and munch your way through the most amazing cakes, cupcakes and brownies EVER! Their treats are quite expensive - but no different than the prices at Starbucks, plus the quality is 100 times better. I was feeling terribly sorry for myself after a rough couple of hours sweating in an empty board room, so I happily divide straight into a yummy frosted brownie, red velvet cupcake & a silky smooth flat white. Where as the lovely moderate Becki had a vanilla cupcake and latte! It was an amazing afternoon escaping the re-occuring snow (meh!) filled with girl chat, giggles & goss!